Many businesses have employees who work in the field, visiting people’s homes and businesses or even construction sites. Being able to keep track of these employees is essential, but there’s also the question of keeping them engaged and motivated. It can be difficult to ensure your technicians are happy when you might rarely see them during the day. Fortunately, technology is making it easier for remote workers everywhere. Using apps for service technicians, you can keep them engaged and help them to be more productive. 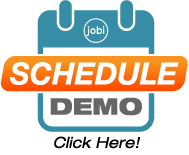 Jobi offers you job scheduling software that helps you to stay in touch with your employees and gives them the tools that they need to do their jobs perfect. Staying in touch with everyone back at the office isn’t always easy when you’re a traveling technician. However, Jobi makes it much easier for technicians to always know what their next task is and to get in touch whenever they need to, using the Jobi app for contractors. Our service call scheduling software gives technicians the tools they need to understand their next tasks, manage important documents like paperless invoices back to the office, and see all of the information that they need to cut down on unnecessary information. Everything is available in one app for their phone or tablet. Being able to schedule and dispatch technicians for all of your calls easily is vital. You can keep your technicians engaged in their work and connected to the main control room by always having the ability to issue them with their next job and using GPS location and call tracking features. It’s easy to assign a call to a technician and prioritize their tasks so that they always move onto the next most important job. Your technicians will feel more connected and also save on time. 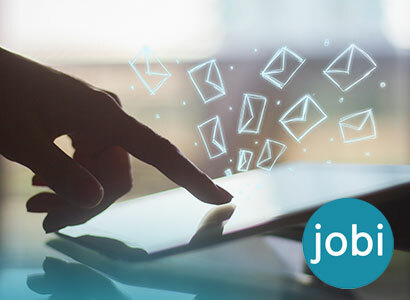 By assigning them to their next job using the Jobi app, there’s no need for them to spend all day calling for updates or to keep returning to your premises for their next assignment. The Jobi app also helps you to keep your technicians up to date on their jobs and make sure that they have all the essential information. They will have all the customer information that they need to get the job done, including their name, address and phone number so that they know where to go and can make contact with the customer if they need to. They also have the ability to look at a map and the route they need to take to find the address. Your technicians also get descriptions of the jobs so that they know what will face them when they arrive. One of the things that might be frustrating for your technicians is managing prices and invoicing. If you offer a lot of different products and services, having to memorize prices or carry a large pricing book isn’t ideal. You also don’t want your technicians simply making up prices on the spot. If you want to help keep them engaged by ensuring they have all of the information they need, the Jobi app makes things easier with a flat rate pricing book. You can add your own prices for technicians to follow so that they have everything in one handy service scheduling software app. Invoicing is easy too, with the ability to create invoices and to capture signatures and payment with their mobile device. This reduces frustrations for your employees and enables them to offer service options so they can alert clients to items they may have not been aware of and not seem like they’re trying to run up the bill. 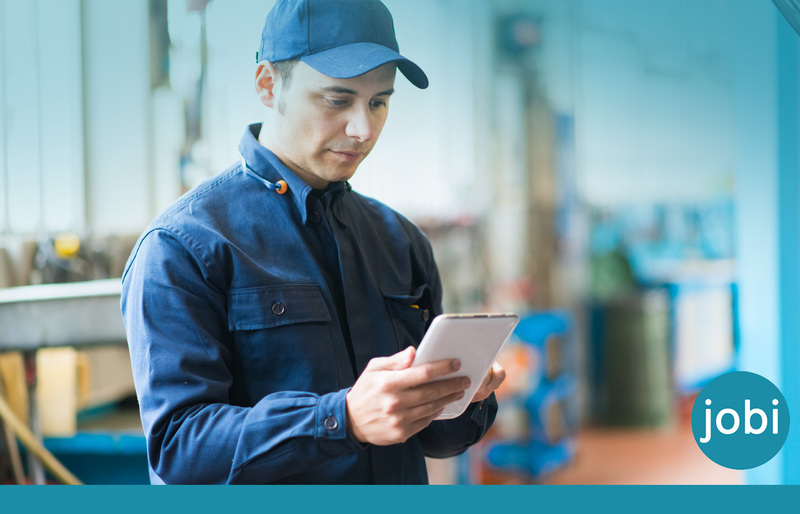 With Jobi Pro, your field service technicians will be able to process invoices right on the spot. This helps your technicians to feel more engaged and productive by avoiding the need to store and carry paper invoices. They don’t need to file them away or drive them around all day, nor remember to deliver them to the office at the end of the day. Your business will receive payment realtime. That’s why Jobi is the ideal Electrician Contractor App, Plumber Contractor App and HVAC Contractor App. Traveling technicians can simply send their invoices with zero effort, helping to keep them organized and make them more productive. And with Quickbooks seamless integration, you can easily keep your accounting information organized. Our contractor dispatching software for small businesses also allows you to create custom options for common services and package deals. This gives your technicians the power to offer a number of service options to customers and to present different options to customers. Making a presentation to customers shows them the services that they are being promised, gives the technician the option to create an invoice and allows for a signature to be added. Give your technicians control over what they’re doing while still keeping them on track. You can give your technicians more confidence to upsell with pre-set options for paperless service agreements for contractors. By tracking your technicians’ progress throughout their day, you can help them to meet their goals and work more efficiently. Jobi offers GPS fleet tracking so that you find out where your technicians are and how long it takes them to get from job to job. This helps to give those back at the office a better idea of the experience of their technicians, and it can also be helpful when dealing with any vehicle problems. You can keep track of jobs as they’re completed to get a better understanding of how your technicians are working. 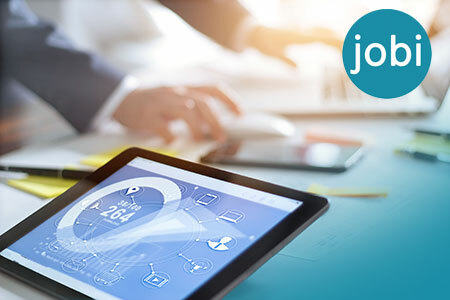 Using Jobi service dispatch software for contractors helps your technicians work faster and more productively thanks to the range of tools they have available. They can save time in a variety of ways, from using paperless invoices to receiving the fastest route to get to their next job. 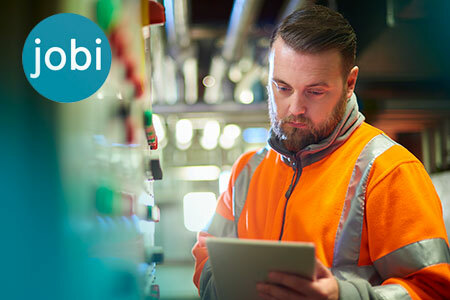 Use the Jobi app to keep your service technicians engaged day-to-day and help involve them in the growth of your business.